The summer's gone and September brings us the anticipation of numerous announcements. Traditionally, August was the last month when the manufacturers had time to get prepared for the seasonal growth of sales volumes. It seems that the hopes of the conductor manufacturers who expect the market to revive won't be vain. According to Gartner, the sales growth in the Q2 2003 ran into 11.2% compared to 2002. The semiconductor market is recovering little by little, and by the year end it may reach $173 billion. Today the average load on the production facilities of most factories makes 85.9% according to Semiconductor International Capacity Statistics (SICAS); it's noticeably higher than the last-quarter 82.8%. It's the first time since the beginning of 1994 when the 85% mark is exceeded, and this is a record since the Q3 2001. Due to the fruitful results of the second quarter IDC that forecasted the 6.3% growth in the semiconductor sphere in 2003 had to increase the figure by 2% at the end of August! SARS which finally became a thing of the past, the activity on the US market and recovery of the Asian markets make the figure close to 8.4%. The previous forecast of 7.2% is now increased by Gartner up to 8.9%. Speaking of the actual factory loads, I must say that in the Q2 the weekly production of the silicon wafers reached 1.308 M (compared to 1.25 M in Q1). The weekly usage of the wafers that reflects the real growth of the demand for the chips makes 1.124 M (1.035 M in Q1). 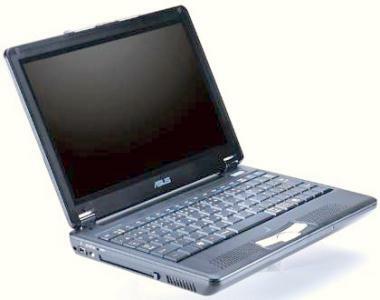 The growth of the world notebook supplies is the most noticeable as more and more business and home PC users want a mobile computer. The analysts forecast the prices for many Intel Centrino based notebook PCs will fall down to $1,000 by the year end. Moreover, it's quite possible that by X-mas we will see a new wave of portable PCs and web tablets working under the Microsoft Windows XP Media Center. The future supplies of CPUs by various manufacturers are still unclear; Intel will undoubtedly remain a leader, but according to In-Stat/MDR, marketing company, AMD proved it's able to be a good competitor in all market segments. To match the Pentium 4 AMD needs a competitive mainstream processor and should continue using the sensible CPU marking system. Apart from the launch of new 64/32bit Athlon 64 for desktop PCs AMD is planning on a new Duron Model 8 core codenamed Applebred, with the 13micron technology. The new processor will have the FSB 266 MHz, clock speeds of 1.4, 1.6 and 1.8 GHz and will be positioned for the developing market of Eastern Europe and South America. Transmeta and VIA Technologies will probably remain the niche players. VIA Technologies recently made the decision to combine VIA Platform Support Division (VPSD) and Processor Division for effective utilization of the internal resources. The analysts say that in 2002 VIA sold 2 M processors and plans on selling 6 M in 2003. Nevertheless, the overall market share of VIA and Transmeta in 2002 hardly exceeded 1%, which actually remains the same since 2001. It's expected that VIA's market share will remain stable during 2003 and 2004, and Transmeta's one will shrank because of the transition from TM5800 to TM8000 (Efficeon). VIA's main problem will be connected with system buses in 2005. Transmeta's problem will be development of a connector for the TM8000. As to Intel, the launch of the new processors with 90nm cores - Prescott and Dothan - is not clear yet and it can take place either at the end of this year or at the beginning of the next one. But we know that the company has already delivered first samples of the Dothan and Prescott in Q1 2003. By the way, in August one of the players on the x86 market left the field. At the beginning of the month National Semiconductor sold its Information Appliance Division that dealt with Geode microprocessors for inexpensive network terminals, desktop consoles and other similar devices. AMD, the buyer, got 130 new employees while 65 people will be laid off. Together with Information Appliance AMD got such National Semiconductor's clients as Samsung and NEC. The memory market keeps the summer tendency: the price gap between DDR333 and DDR400 chips is getting narrower, plus NAND flash is still in short supply. But it doesn't mean that the DDR400 is getting cheaper; on the contrary, the DDR333 which is much in demand in Asia is getting more expensive. The DDR266 is also in great demand, mostly in China and Europe. Gartner Dataquest predicts that in Q3 the DRAM will be sold more by 35% compared to Q2 2003. If the forecasts come true the memory sales volumes will exceed $5 billion in Q3 against $3,723 billion in Q2 and $3,743 billion in Q1. As to the NAND flash, the demand exceeded the supply by 20-25% by the end of the month, and the situation won't probably change until the year end. As a result, a 1Gbit NAND chip reached $26 compared to $16 in May. The situation did away with the price wars between two main NAND flash makers - Toshiba and Samsung Electronics. Besides, modernization of the production lines and transition to the higher-density chips (by Samsung, Toshiba and Renesas) made the deliveries shrink and the demand grow up. At the moment the companies that produce NAND say that they are going to increase the production volumes to satisfy the demand. In particular, Renesas is to extend the load while Samsung will soon start making the NAND flash on 300 mm wafers. The video card market doesn't shine this time. The sales volumes didn't come up to the manufacturers' expectations. The main reason is high sales volumes of the mainboards with integrated graphics. 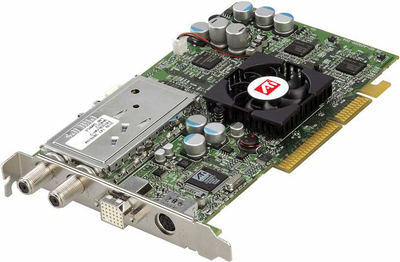 The world videocard market can drop lower 50% of the whole PC market, which is less than it was in the first half year. In the first half of 2003 none of the Taiwanese card makers including Leadtek, Gigabyte and MSI could reach the sales volumes planned. But ATI Technologies still hopes to strengthen its position on the middle-range and low-end markets. The analysts predict that in Q3 ATI has every chance to place more orders with TSMC than NVIDIA and become its largest customer. At the same time, it's also expected that UMC, another Taiwanese chip maker, will increase the supply volumes for ATI. In September ATI's orders must be increased up to 40,000 wafers from TSMC and 10,000 wafers from UMC. In Q2 ATI enlarged its share in the GPU sector by 1.6% (up to 21%) while NVIDIA's share shrank from 31 to 27%. According to Mercury Research, ATI's marketshare grew up thanks to the sales of high-end solutions such as Radeon 9700 and 9800. Now let's turn to the HDD market. Hard drives produced by ExcelStor, the branch establishment of Chinese concern Great Wall Technology, can be often seen on the store shelves. As you know, Great Wall and IBM collaborated in the sphere of HDD OEM production. Since IBM's assets in the HDD production passed to Hitachi Global Storage Technologies in December 2002 it's not great news that new 40 GB and 80 GB 3.5" Deskstar 7K250 hard drives for desktop PCs will be produced at ExcelStor's factory. The ATA/Serial ATA line of the Deskstar 7K250 discs with the density of 80 GB per platter and 7200 rpm covers the models of 250, 160, 120, 80 and 40 GB. The big-size models will be now made at Hitachi's Japanese factories, but the Chinese party can make and sell Deskstar 7K250 drives under its own trade mark ExcelStor. Some companies are working on the silicon of the 90nm standards, others are launching 13micron products, and the lithographic equipment developers are working on technologies of the future. Physicists at Cambridge University in the UK have developed a new way to make quantum electronic devices using an atomic force microscope. The technique is known as erasable electrostatic lithography (EEL). 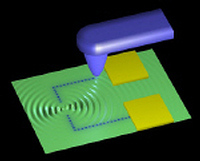 The atomic force microscope was used to define quantum electronic components - such as quantum wires and dots - on the surface of a gallium arsenide wafer. The tip of the microscope, which was biased to -6 volts, "drew" patterns of charge on the surface, and these patterns depleted electrons from a two-dimensional "sheet" of electrons in a layer of aluminium gallium arsenide beneath the surface. The experiments were carried out at 20 mK. The technique allows the team to tailor properties of the components, such as their size and shape, and to link individual components into more complex circuits. The patterns can be erased by going over them again with the tip biased to +3 volts, or the whole surface can be erased by illuminating it with red light. The Cambridge team now plans to investigate such phenomenon as quantum decoherence. They believe that EEL could be used to make a quantum computer based on arrays of quantum dots. At the same time Chartered, IBM and Infineon concluded an agreement on developing the 65nm semiconductor production technologies. Infineon will develop low-voltage semiconductor modules, IBM will be in charge of production processes and Chartered is to make a universal platform scalable from 90 nm to 65 nm and, in prospect, to 45 nm. The center of the technology development will be IBM's headquarter recently opened in New York. There will be about 200 engineers from three companies engaged in this project. Each of the companies will be able to try the technical processes on their production facilities. But it's future, and today the Taiwanese chip makers - TSMC and UMC - are concerned about quality and scale of production based on the 0.13micron norms. UMC which currently makes 0.13micron chips on 200mm and 300mm wafers ensures 65 - 70% of valid chips at the 200mm factory and 95% at the 300mm one. With the increase in the orders for 0.13micron chips both companies are going to expand their production: TSMC will additionally invest $1.25 billion a year and has already spent some $500 million to expand the monthly production output of the 300mm factory from 25,000 to 35,000 wafers. UMC spent the similar sum. By the way, Korean Samsung is also planning on doubling the investment into the semiconductor business from $3.5 billion to $7 billion next year. Samsung primarily stakes on flash memory and wants to increase the output 3-4 times. The market of chip production equipment might soon have some changes. Canon voiced its decision to make additional investments into development and production of the next generation of the semiconductor production equipment. The company is to invest about $830 million until December 2005 for commercialization of new lithographic steppers. It seems that Canon intends to top the list of leading stepper makers. The current leader is Dutch ASML Holding N.V. which is followed by Japanese Nikon while Canon takes the third position. Judging by the information we've recently received its new funds will be spent for development of steppers for 60nm and finer chip production. Besides, the company is going to force building of a new research and production center near Tochigi (to the north of Tokyo) and employ 300 people for the stepper production division, 250 of whom will be experts in nano-optics, electronic technologies and software for lithographic equipment. Solutions based on completely new solutions will arrive only in September/October. In August we got just new versions of old models. Last month the companies were also preparing for Falls' showcases and displays. New processors were few. At the beginning of the month AMD announced a new model of the 64bit server processor - Opteron 246 for single and dualprocessor servers and workstations. AMD Opteron Model 246 with 128KB L1 cache, 1MB L2 cache and an actual clock speed of 2 GHz, like its predecessors, is produced at the Fab30 Dresden factory according to the 0.13micron process. Such processors will be used in IBM eServer 325 systems. In August VIA Technologies extended its processor line meant for noiseless entertainment and communication systems as well as for commercial and industrial devices with the VIA Eden ESP7000 version with the PadLock hardware encryption subsystem. 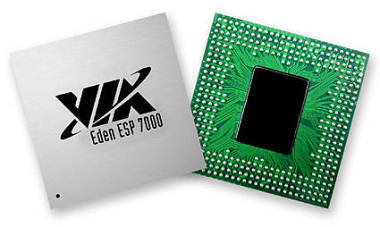 The VIA Eden ESP7000 is based on the Nehemiah core and clocked at 733 MHz and over. It consumes about 6 W at the clock speed of 733 MHz, and it's packed into the traditional low-profile EBGA case which is 1.5mm thick only. 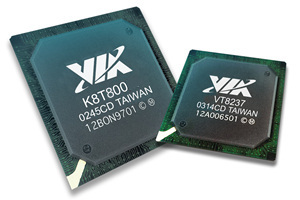 At the beginning of the month, when LinuxWorld Expo was taking place, VIA Technologies officially announced the VIA K8T800 chipset. 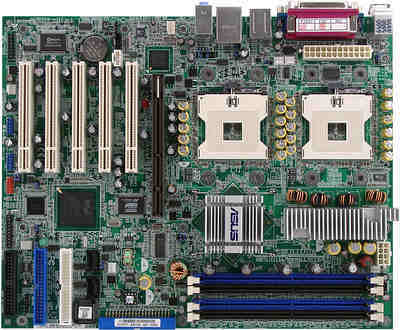 The chipset supports up to two AMD Opteron processors, AGP 8X and can be used for assembling servers and workstations. The north bridge will be equipped with the VT8237 south bridge. SiS offered one more chipset for the AMD Athlon XP platform. 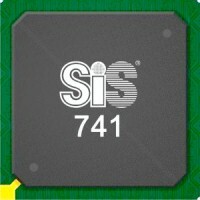 It's SiS741 and it can be called a version of the SiS748 with integrated graphics. Both chipsets support the 400MHz FSB, DDR400, AGP 8X and SiS964 south bridge. But the SiS741 sports the integrated Gfx Real256E with the DirectX DX7 hardware support and DX9 software support. The mass production of boards on this chipset will begin in September. The launch of the new i848P chipset which features the single-channel DDR400 support wasn't pompous since its characteristics were known in advance. Besides, it promised nothing but the low price. Nevertheless, almost every board maker developed its own solution on this chipset. 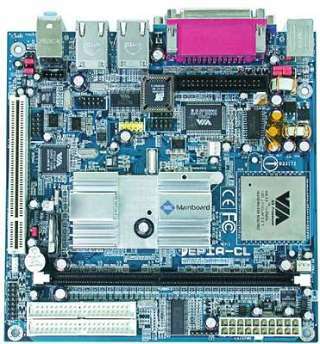 The i848P based boards have similar features: support of the Pentium 4 up to 3.2 GHz and over, FSB 400/533/800 MHz; DDR400, AGP 8x/4x, up to 8 USB 2.0 ports. They differ in overclocking and monitoring functions. You can get more information on features of such boards in the following review: Intel 848P chipset: comparison tests of the new single-channel chipset and its predecessors i845PE and i865PE. In August ASUS surprisingly released the PC-DL Deluxe mainboard based on the Canterwood ES chipset for workstations on two Xeon 3.06 GHz+ processors. The Intel MCH 82875P north bridge (Canterwood) doesn't officially support dual-procssor configurations, and I don't expect other companies to develop similar solutions. Most probably, Intel will soon release a special dual-processor version of the chipset. The ASUS PC-DL Deluxe is equipped with the Intel 82801ER (ICH5-R) south bridge, Intel 82547EI CSA Gigabit Ethernet controller, supports up to 4 GB of PC2700 DDR with ECC, RAID 0 on the Serial-ATA ports in ICH5-R and RAID 0, 1, 0+1 with the Promise PDC20378 SATA controller. Another ASUS's solution was the Wi-Fi@HOME platform for home WLAN systems. The ASUS Wi-Fi@HOME consists of three parts: ASUS mainboards with a dedicated Wi-Fi slot, ASUS Wi-Fi WLAN network card and ASUS Software AP. The list of boards supporting the Wi-Fi@HOME platform currently includes P4C800/Deluxe, P4C800-E, P4P800/Deluxe, P4P8X, P4P800S, P4P800S-E, P4S800, P4S800D, P4V800D, A7V600, K8V. What also attracted our attention in August was a mini-ITX mainboard based on the CLE266/VT8235 and VIA EPIA CL, with the specs similar to the EPIA M.
But the EPIA CL doesn't have a TV-out (EPIA M has VT1622) and IEEE1394 (VT6307S on the EPIA M) and has a different audio solution (dual-channel VT1612A on the EPIA CL vs 6-channel VT1616 on the EPIA M). But the new model has 4 USB ports against 2 on the EPIA M, and two network controllers VT6105+VT6103, while the EPIA M has only one - VT6103. There'll be two models for different processors - EPIA CL10000 (on 1GHz C3) and EPIA CL6000 (on 600MHz Eden). Retail versions of the boards are expected at the end of September. New announcements of the companies making memory chips indicate that mass sales of the DDR2 are just around the corner. Thus, Hynix demonstrated its 1Gbit DDR2 DRAM chips made according to the 0.11-micron process. Hynix's 1Gbit and 512Mbit DDR2 chips are packed into 68pin FBGA, as well as into 60pin and 84pin FBGA and comply with the JEDEC requirements. At present, the customers already received the 512Mbit DDR2 chips working at 533 - 667 MHz for tests. Samsung Electronics started mass production of the 256Mbit Graphics Double Data Rate2 (GDDR2) SDRAM chips that officially support the GDDR3 standard which is going to be ratified soon. Samsung's GDDR2 SDRAM chips comply with the JEDEC recommendations, are packed into standard 144pin Fine-pitch Ball Grid Array (FBGA), and support all technical functions indicated in the GDDR2 specs. Elpida started deliveries of samples of 1GB Unbuffered DIMM PC3200 DDR SDRAM modules with CAS=3, with the ECC support and without, on 512Mbit DDR400 chips made at Elpida's factories according to the 0.11micron process. The mass deliveries of the new modules must start in December 2003. Infineon Technologies is delivering samples of 1Gbit DDR SDRAM chips. The chips use the 0.11 micron technology, have the x4, x8 and x16 architecture and work at 133 to 200 MHz (DDR266 - DDR400). At the surface square of 160 sq mm it's the smallest 1Gbit DDR SDRAM solution. They chips can be packed into the 66pin TSOP or 68pin FBGA. For the higher density Infineon plans on using FBGA chips based on the Dual Die Stack technology in production of 4GB registered modules. Samples will be made in Q4, and the mass production is scheduled for the beginning of 2004. 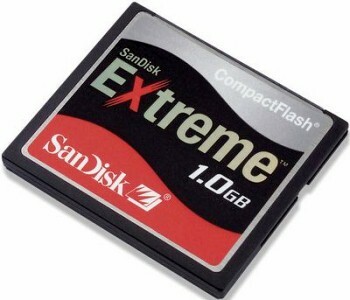 In the flash memory sphere we got SanDisk's Ultra II series of the CompactFlash and Secure Digital formats. The minimal write speed is 9 MB/s and the minimal read speed 10 MB/s. There are currently three models in the SanDisk Ultra II CF line: 256, 512 MB and 1GB, while the SanDisk Ultra II SD line have 256 and 512 MB models. The 256, 512 MB and 1GB SanDisk Ultra II CF will cost $105, $210 and $430 respectively, while the SanDisk Ultra II CF can be found at $130 and $290. In the videocard sphere we got nothing extraordinary. I'll just draw your attention to several Radeon 9600 based solutions. ATI's ALL-IN-WONDER 9600 PRO card traditionally has a remote control (REMOTE WONDER II, with mouse control supported, 6 programmable buttons, 4 additional buttons, full integration with the MULTIMEDIA CENTER), an FM tuner and a 125-channel TV tuner. 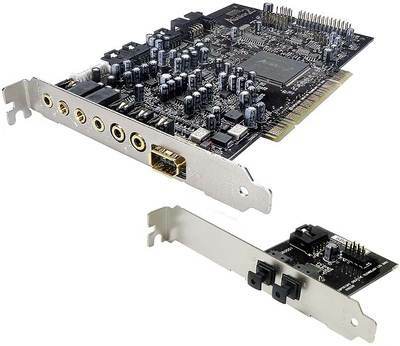 Hercules got prepared to deliver its 3D Prophet 9600 cards equipped with 256MB DDR memory. The time will show whether such solution can find its niche. The retail price for the Hercules 3D Prophet 9600 256 MB will be around 200 euros. I can't say we got a lot of interesting drives in August: at the end of the month Maxtor started selling its new external OneTouch drives with a new design, increased size and a software suite called Dantz Retrospect Express. The new line includes 120 GB/7200 RPM (USB 2.0, $200), 200 GB/7200 RPM (USB 2.0/FireWire, $300), 250 GB/7200 RPM (USB 2.0/FireWire, $350), and 300 GB/5400 RPM (USB 2.0/FireWire, $400). 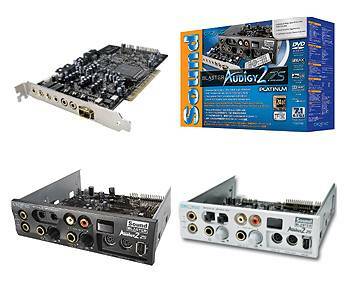 The Creative Sound Blaster Audigy 2 line got three new solutions: Sound Blaster Audigy 2 ZS Digital Audio ($157), Sound Blaster Audigy 2 ZS Platinum ($233) and Sound Blaster Audigy 2 ZS Platinum Pro ($292). 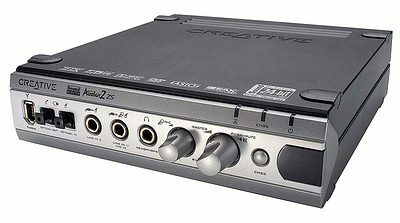 The Sound Blaster Audigy 2 ZS Digital Audio has a new design and a 7.1-channel output as compared to the previous versions. The Platinum includes the basic model plus a 5.25" unit with connectors (white and black color versions). The Platinum Pro differs in the components and architecture: it has 3 line-outs - 7.1-channel, AUX, and an external module connector. A remote control is also supplied. In the LCD sphere we got a lot of new solutions with the diagonal of 19" and over. 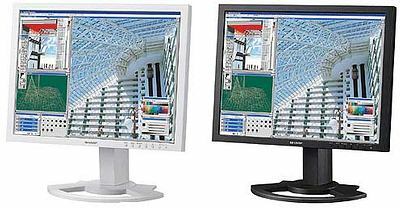 A typical solution was a 20.1" LCD monitor from Sharp - LL-T2015 ($1500), with the maximum resolution supported being 1600 x 1200 (UXGA). 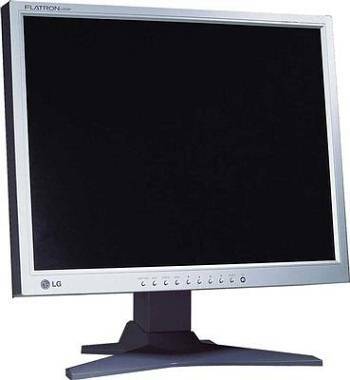 The LL-T2015, like many other newly released displays, have two interfaces - D-Sub and DVI-I. The pixel size is 0.255 mm, brightness - 250 cd/sq m, contrast - 400:1, and vertical and horizontal viewing angles 176 degrees. 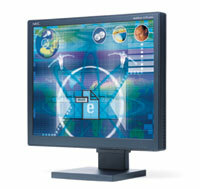 The 19" NEC MultiSync LCD1960NX ($750) is a new addition to the 60 series of NEC-Mitsubishi Electronics Displays. The pixel size is 0.294 mm, brightness - 250 cd/sq m, contrast - 600:1, response time - 30 ms, vertical and horizontal viewing angles - 170 degrees, and the maximum resolution makes 1280 x 1024. This model is equipped with two interfaces - a 15pin D-Sub and DVI-D. You can get it in a white and black box. 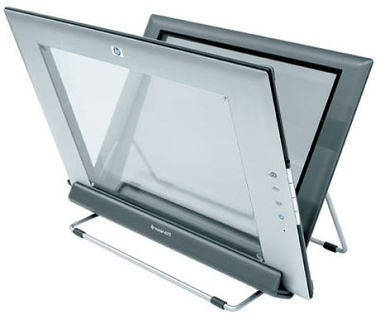 Another interesting 19" solution is Flatron L1910P (950 euros) made by LG Electronics. The monitor supports the resolution up to 1280 x 1024, 700:1 contrast, 300 cd/sq m brightness, 16 ms response time, 176 deg viewing angles. 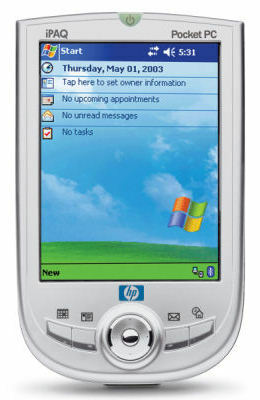 Among pocket PCs to be mentioned is Hewlett-Packard's iPAQ Pocket PC h1935 based on the 203MHz Samsung S3C2410 processor and controlled by the Microsoft Windows Mobile 2003 ($200). The h1935 doesn't feature the Bluetooth interface like the previous h1940/h1945 ($299) and its clock speed is lower (203 against 266 MHz). It has a universal SDIO slot in comparison to the conventional Secure Digital on the h1910 which has a similar price, and more modern OS and processor (the h1910 uses Intel's 206MHz chip). When I looked through the reviews of portable PCs I realized that it wasn't easy to find any solutions based on something rather than the Centrino platform. The official release of the Transmeta Crusoe TM8000 (Efficeon) is not soon, not to mention the mobile Athlon 64. I think that the Centrino will feel carefree within a couple of next months. ASUSTeK started deliveries of its S200N notebook, a new featherweight (880 g) portable PC with an 8.9" LCD display and Intel Centrino technology under the hood. The basic version S200 uses the ULV Pentium-III processor. The S200N series is based on the traditional components of the Centrino technology, i.e. Pentium M, 855 chipset and Intel PRO/Wireless 2100 adapter. The typical configuration includes 256MB RAM, a 40GB hard drive and ensures the rundown time of 5.3 hours. A new useful feature is a WLAN hardware switch which can be used, for example, in a hospital or airport where the connection to the local wireless network can be forbidden. Dell announced two new series of notebooks based on the Pentium M. The Latitude series is expanded with the X300 (from $1550) which has a 12.1" display with the resolution up to 1024 x 768, a 1.2GHz LV Pentium M processor, 128 MB memory, a 20 GB hard drive and a built-in 24x CD-ROM drive. 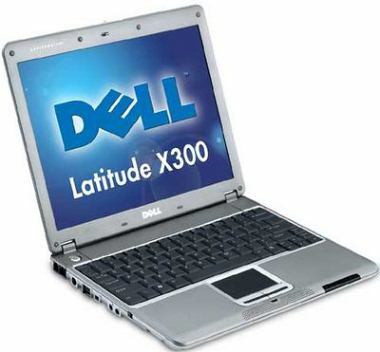 The advanced version of the Latitude X300 (from $2800) is outfitted with 640 MB memory, a 60GB hard drive, IEEE 802.11a/b/g support and a built-in DVD+R/RW drive. The Dell Inspiron line is also extended. 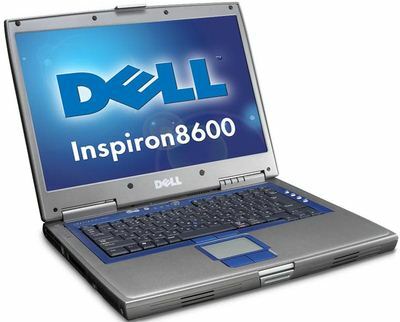 The new solution - Inspiron 8600 - comes with 1.3/1.4/1.6/1.7 GHz Pentium M processor, 15.4" WXGA (1280 x 800), WSXGA+ (1680 x 1050) or WUXGA (1920 x 1200) LCD, up to 2 GB PC2700, and a hard drive up to 80 GB. The graphics processor is MOBILITY RADEON 9000 32 MB, but GeForce FX Go5650 128 MB and GeForce4 4200 Go 64 MB can be also optionally installed. In closing I'd like to show you a new flatbed scanner from Hewlett-Packard - Scanjet 4670 ($200). It has an unusual design with a transparent cover and ability to work in the vertical position. The Scanjet 4670 support USB 2.0, 2400 x 2400 dpi with the 48bit color depth, comes with a 35mm slide adapter, HP Photo & Imaging, Instant Share, Memories Disc Creator and Scanjet Copying, as well as Adobe Acrobat Reader, ArcSoft Panorama Maker, and I.R.I.S. Readiris Pro OCR.